Vancouver Island adventure tour in BC. 8 Day Guided Vancouver Island Adventure Tour. Luxury Camping and adventure. What's not to love about a guided adventure on Vancouver Island? With endless waterfalls, lakes and beaches, or scenic drives, mountains and rainforest walks, this Vancouver Island adventure tour leaves little to be desired. 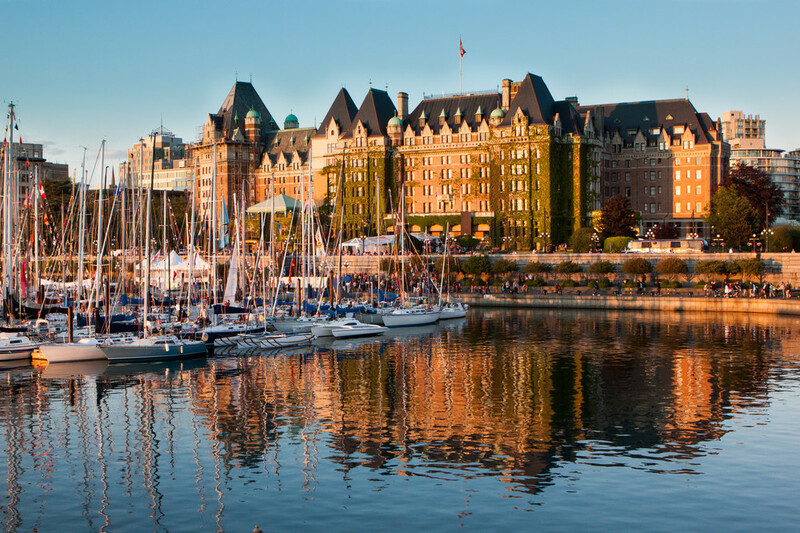 Start your Vancouver Island adventure with a tour of Victoria, then pass through Cathedral Grove and hop on a scenic cruise through Barkley Sound. 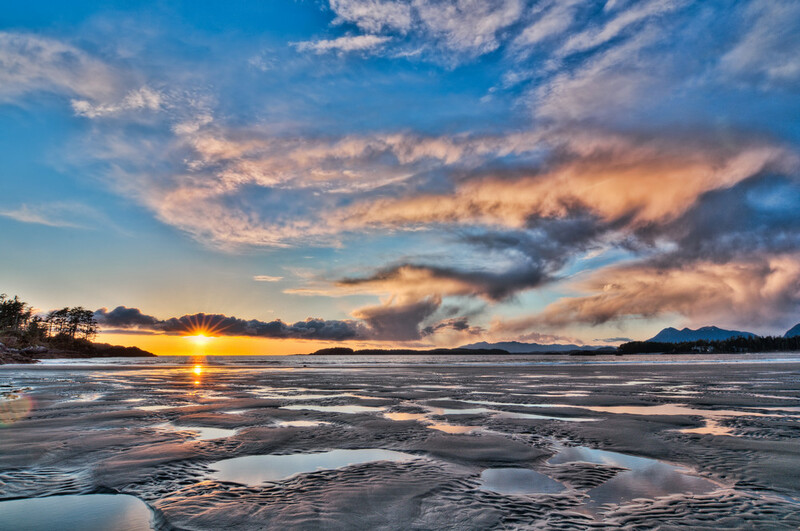 Get in touch with the ocean on your Vancouver Island adventure tour on a high speed boat cruise through Clayquot Sound, and soak in Tofino's natural hot springs. Visit Strathcona Park, famous for wildlife and world class scenery, where we camp beneath starry skies and hike through old growth forests to tranquil alpine lakes. No adventure tour to Vancouver Island is complete without the Gulf Islands, so we head to Saltspring Island for a peaceful night on the Georgia Strait. During your Vancouver Island adventure tour we camp at 5 beautiful camping areas, ranging from ocean beaches, to old growth forests and alpine lakes. Each campsite during your adventure offers lots to do, including swimming, amazing berry picking and beautiful sunset walks. Gourmet meals on your tour will change your view on camp food, catering to most dietary restrictions. Your Vancouver Island adventure tour menu includes lots of fresh local meats, seafoods and fine cheeses, as well as hordes of fresh fruit and healthy salads. This Vancouver Island adventure tour is a dream waiting to be discovered. Come on a guided adventure to this sunny paradise and see why we love it so much! Pick up and drop off from your central Victoria hotel. 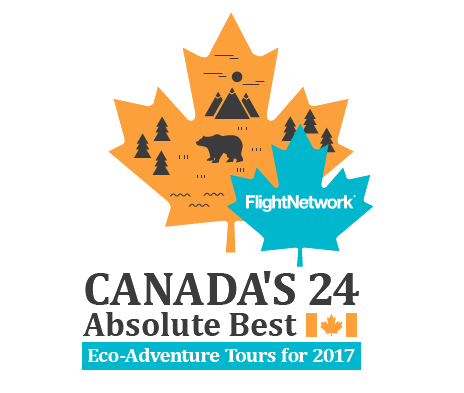 Victoria city tour, daily hiking excursions, Tofino free time, wine tasting and swimming. Optional surfing, Barkley Sound cruise and Tofino ocean excursion. Day 4: Tofino-How could we enjoy being near the Pacific Ocean more than embarking on a high speed boating excursion through the deep fjords of Clayoquot Sound. We cruise through rugged landscapes, tamed by no man, on our way to Hot Springs Cove for a soothing soak in the natural hot springs. When we return to Tofino you have a few hours to explore the town on slightly wobbly legs, or if you desire you can opt for a quick surf session. Day 5: Coombs and waterfalls-Today we drive East along the infamous “Highway of Waterfalls”, heading for Strathcona Provincial Park. We make a stop in Coombs, a popular market filled with locally made art, delicacies and souvenirs. Check out several waterfalls, and feast your eyes on the alpine playground of Vancouver Island. We camp beneath the dark, starry sky on the shores of Buttle Lake. 5 day tour ends around 2 pm in Nanaimo today. Day 6: Strathcona Provincial Park-Wake up to the smell of a hearty breakfast, and fill yourself before our hike. Today we hike through old growth trees, meandering up to a brilliant, open alpine world and Bedwell Lake. See how many kinds of mushrooms you can spot on the way up, or how many berries you can stuff in your mouth! Picnic beside the lake, and even go for a refreshing swim in the calm, inviting waters. Arrive back at our beautiful camp and kick your feet up; you earned it! Day 7: Campbell River and Gulf Island vibes-Start off the day exploring Campbell River and perusing the busy working port, before heading for the Gulf Islands. We pass pleasant, warm beaches, facing the brilliant panorama of the coast mountain ranges, where we stop and take pictures. Hop aboard the ferry to Salt Spring Island and try the laid back Gulf Island lifestyle. We hang out at secluded beaches and hike to a viewpoint with dominating views of the Strait of Georgia. Gather around a warm fire and reflect on all the amazing memories of the tour with your new friends. Day 8: South to Victoria-We enjoy a final breakfast together and board the ferry back to the main island, beginning our journey South to Victoria. Enjoy the scenic drive over the Malahat Pass and through Goldstream Park, before we drop you off at your hotel or the airport.